Public Health Education and Promotion aims to advance the scientific basis of knowledge and action for current and future public health professionals, including those working with lay audiences. The goals are to: promote use of the most effective content and methods for instruction related to public health; and add to the research and practice base on the most effective strategies for health promotion in a global context. The desired outcome of both efforts is to strengthen public health infrastructure and systems worldwide. This section is based on the premise that education of the lay public, policymakers, and current and future workforce professionals is fundamental to having an effective public health system within and across nations. We call for innovative education and practice that can help individuals make better personal health choices, health professionals more effectively engage in evidence-based practices, and societies enhance programmatic efforts and policy initiatives to protect and promote population health. There are new public health frontiers for individual health professions disciplines and interprofessional education related to content and pedagogical techniques for both on-line and in-person classroom instruction. Similarly, new frontiers exist in health promotion efforts to implement, disseminate, and sustain evidence-based multi-level interventions, balancing program and policy implementation with needed adaptation to local settings and populations. All these “frontiers” depend on knowledge created through research and spread through education and multi-level health promotion strategies. Public Health Education and Promotion focuses on building the evidence about how to teach as well as what to teach to effectively reach different audiences with messages pertinent to public health. This includes educating lay members as well as training the nascent and seasoned members of the public health workforce, who in turn affect programs, policies, and front-line practice related to public health. To build useful bodies of knowledge that will be widely available in a timely manner, Public Health Education and Promotion will be organized into two primary topical sub-sections which reflect related but distinct areas of inquiry: - Education of the current and future workforce; and - Health Promotion with both an individual and societal focus. Topics of interest include, but are not limited to, content, methods, and implementation, dissemination, and evaluation of multi-level education and promotion innovations that affect health-related knowledge, behaviors, and practices across populations and settings. 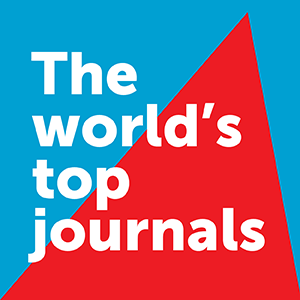 Both areas seek manuscripts that focus on single disciplines or interdisciplinary efforts, further the translation from knowledge to practice, through education, behavior change strategies, and evaluation. Both fields are prime for new ways of framing their activities and expected outcomes.